Data Representation PowerPoint templates, backgrounds Presentation slides, PPT Themes and Graphics. 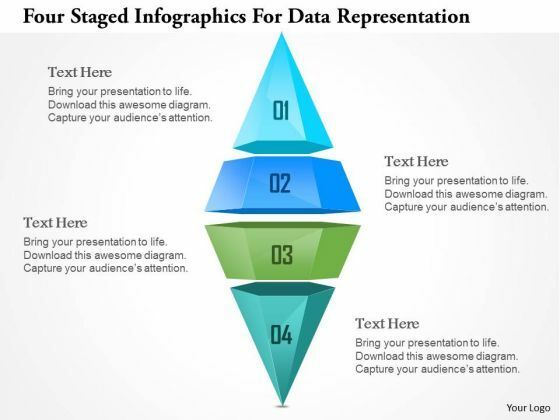 Browse through these creatively designed and created Data Representation PowerPoint templates which have been designed by professionals at SlideGeeks keeping in mind the modern and corporate styles which will ensure that you have the attention of your audience while you share your ideas and suggestions with them. Data Representation refers to the methods used internally to represent information stored in a computer. Data Representation is done in almost all organizations or businesses. Whether it is done for maintaining a record or for the purpose of presenting it to the government or the investors, it is important to ensure that the same is done in an ideal manner. With the help of these presentations you can share the importance of data representation and the different methods adopted for the same. You can also educate your team about various types of data representation and how to interpret the same. Data representation in computer systems is used worldwide and you can highlight the advantage that this method has over the conventional or other methods. These allow the representation of information in a manner that is accessible to all. You can share ideal examples of data representation examples that gives an idea to your team how to compile the information of your organization in a systematic and easy to interpret manner. Like all other designs these too are customizable and can be edited to better match the other aspects of the PowerPoint presentation. This PPT slide has been designed with text layout. 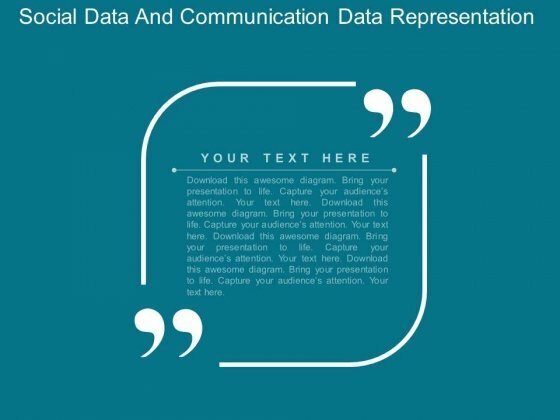 This PowerPoint template is designed to display text message in visual manner. This professional slide helps in making an instant impact on viewers. 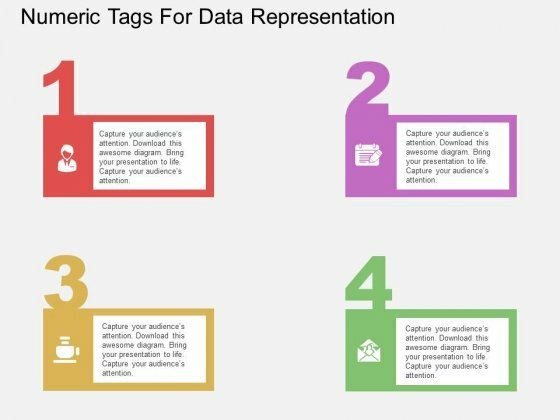 Hit exceptional ratings with our Social Data And Communication Data Representation Powerpoint Template. Astound the audience with your display. 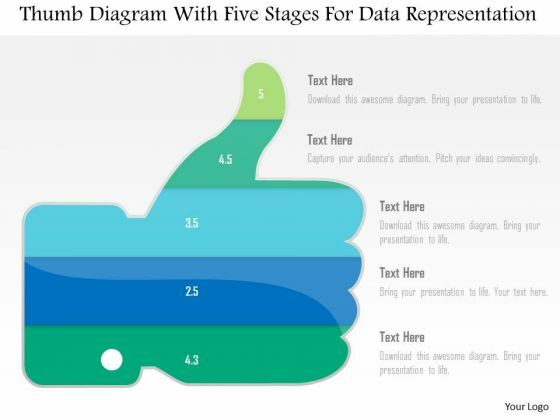 This business diagram displays thumb up with five stages. This diagram contains text boxes for data representation. Use this diagram to display business process workflows in any presentations. 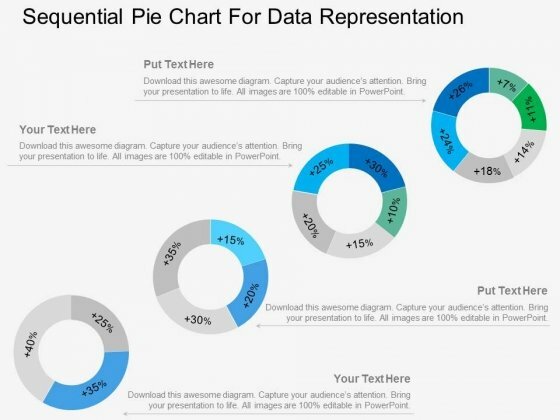 This business slide displays pie chart with timeline graphics. 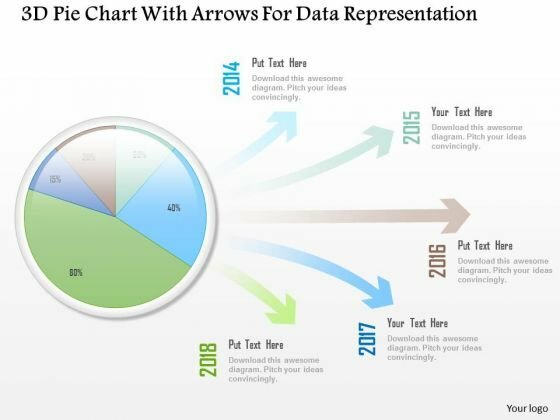 This diagram has been designed with graphic of with four arrows representing yearly data. Use this diagram, in your presentations to display process steps, stages, for business management. This business diagram has been designed with graphic of four staged info graphics. This info graphic can be used for data representation. Deliver amazing presentations to mesmerize your audience. 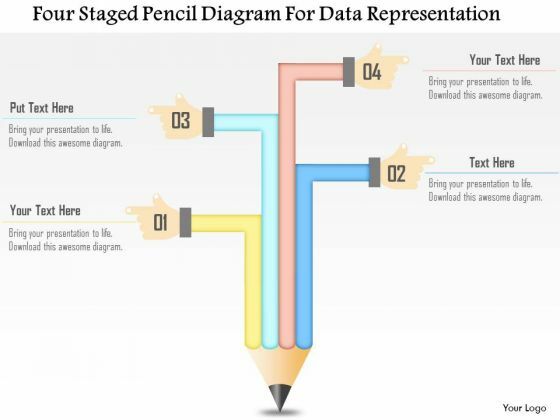 This business diagram has been designed with four staged pencil chart. This slide suitable for data representation. You can also use this slide to present four steps of any business process. Use this diagram to present your views in a wonderful manner.